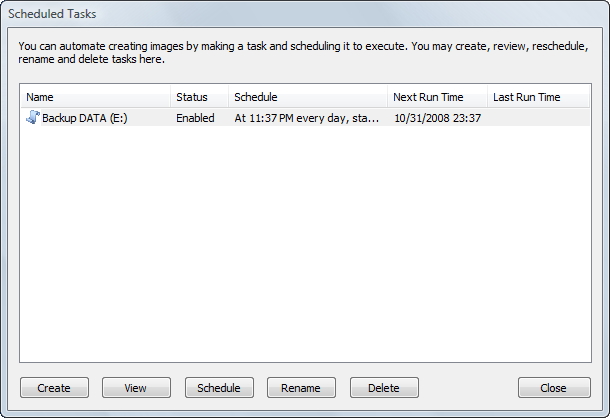 A task is first scheduled during the Create Task wizard. You may later change the scheduled time (condition) without recreating the task. Another option is to enable / disable an existing task. To do so, run the Schedule Task wizard by clicking the Schedule button in the Scheduled Tasks dialog.